Computer Desk. 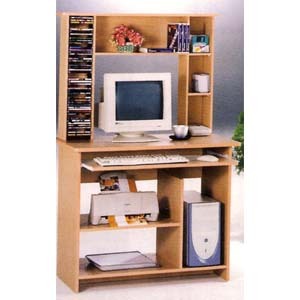 Features Monitor Space, Keyboard Tray, CD Rack, Bottom Shelves For Printer And Other Office Accesories, CPU Compartment, And Side And Top Small Compartments For Computer Or Office Accessories. Size: 36 x 19 x 56H..